Do you love your gadgets? We took a look at some of the most unusual accessories that will make your drive that more interesting! Sure, you can always use a mobile router to make sure that your car is a roaming Wi-Fi hotspot. But what do you do during that inevitable part of a road trip where you are in a no-signal zone? You can actually get signal boosters for your car that are powered by your cigarette lighter socket. The catch is that you require an outside antenna which comes with the booster kit. It might sound like a very niche product, but Telkom, Cell C, MTN and Vodacom all have compatible kits. You can two variants of boosters - 3G data boosters or voice call signal boosters. Of course, there are also hybrid boosters which provide both. No longer do you have to drive a car with a R1million price tag to enjoy the benefits of a HUD projection on your windshield. In fact, manufacturers like Garmin sell it as an accessory you can just pop on your dashboard. What is a HUD projector? 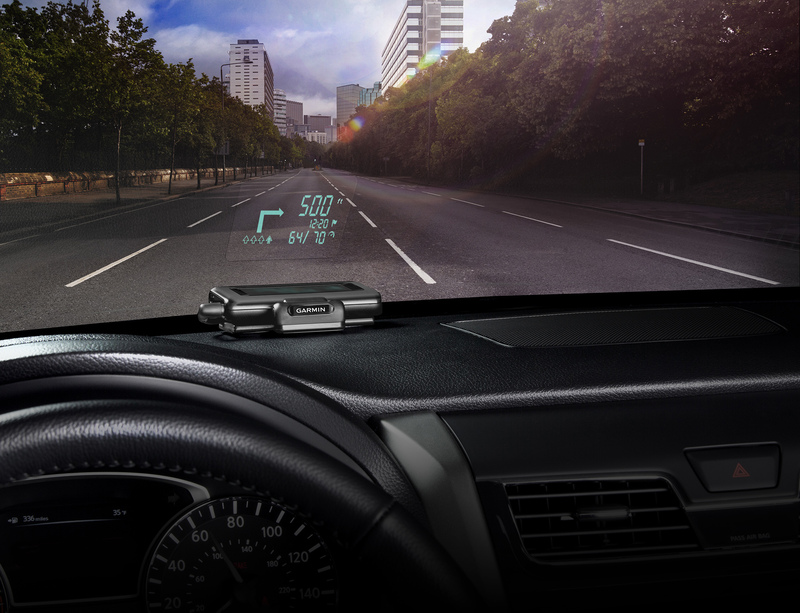 It's a gadget which projects a transparent display onto your windshield, often for GPS navigation. This allows you to track your route without having to look away from your windshield at all. The transparency also means that your view isn't obstructed. Many HUD display devices are also compatible with smartphone apps, which allow you to customise settings such as brightness. Could this be the end to fumbling with GPS mounts which just won't stay in place? It's possible. Just like the HUD displays, parking cameras are typically accessories which are built into premium cars. You can now, however, just buy the gadget separately for your own vehicle. This means you get access to the useful technology without the price tag of a luxury car. There are a variety of kits available online, with varying degrees of quality. Some parking cameras are simply wireless mounts you can connect to your mobile device. Others come with great sensors and an accompanying monitor. There are front, back and hybrid options, depending on where your parking strengths lie. Unfortunately, these accessories don't seem to be available locally yet, but importers are already stocking up on car AI assistants. Yes, Siri for your car. Maybe you won't be able to ask the car assistant all your burning questions about life, but you still can get some great features. So how do these assistants work? Well, you can connect them to your car's diagnostics port (even if it is an older model). Through this connection, the assistant can tell you important information from your vehicle's onboard computer. Some assistants allow you to track mileage and fuel levels. Meanwhile, others allow for vehicle diagnostics (explaining your engine light warnings) and live-tracking of your car. Cars integrated with AI are under development, but they are likely to come with a high price tag. In the meantime, you could invest in a more cost-effective solution.